Alliance provides the basic necessities of life – food and shelter – to people struggling with poverty, homelessness and HIV/AIDS in Los Angeles County. 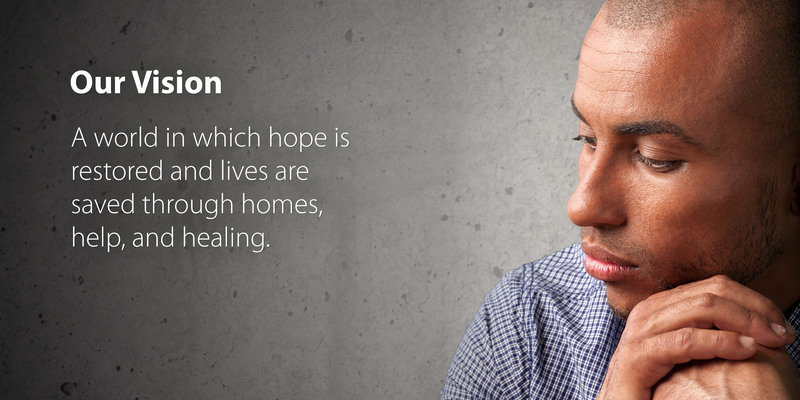 50% of people living with HIV/AIDS will have some form of housing crisis in their lifetime. From the beginning of the AIDS epidemic in 1983, Aid for AIDS and the Serra Project have been on the frontline providing care to those who are not able to help themselves. We use housing as a structural intervention against the spread of HIV. Because of stable housing, medication regimens can be followed, risky behaviors are reduced, and our clients are linked up to resources for comprehensive care. We provide help to more than 1,300 individuals and families every year through housing, utility assistance, and food vouchers. We stand as a beacon of compassion and aid during the most desperate times. Group Homes We maintain 4 group homes with 24/7 care for those who are ill and have no other resources. Permanent Supportive Housing We lease 150 apartments for individuals and families living with HIV/AIDS throughout Los Angeles. Housing Support Services We provide on-going case management to ensure our clients are linked up with the care they need to maintain their health and get back on their feet. Emergency Financial Aid We provide rental and utility assistance as well as food vouchers so that our clients have food on the table and a bed to sleep in every night. The charitable contributions of our donors ensure that those hardest hit by the AIDS epidemic have access to the basic necessities of life – food and shelter. 94% of all revenue goes directly to client programs.